What an exciting week in New Orleans for SEE Change publisher & editor, Elisa Birnbaum as she continues her book tour. 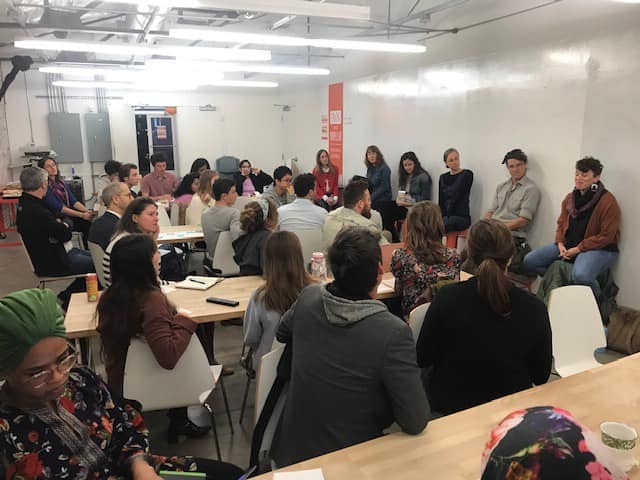 She presented to two senior classes at the Phyllis M. Taylor Center for Social Innovation and Design and was the guest at an inspiring event co-hosted by Goods that Matter, Propeller & Tulane University. Of course, some jazz, sightseeing and a few dozen beignets were part of the week-long events too! Thank you Nola and your fabulous ecosystem of changemakers for being such gracious and welcoming hosts to Elisa! She’s heading home with a warm heart and feeling ever-inspired.